Simple, clean and classic, the best white paint colors stand easily on their own as a design element. White and off-white walls, ceilings, trim and doors, in more of a “supporting” role, are equally essential to a home’s color palette. How will you use white? Simply White OC-117, a past Benjamin Moore Color of the Year. Warm whites have undertones of red and yellow, resulting in a soft glow and welcoming mood. Cool whites have undertones of blue, green and gray, creating a space that looks crisp, clean and luminous. Paint colors are often created by using two or more colors. If there is a higher percentage of one color over the other, that creates an undertone. 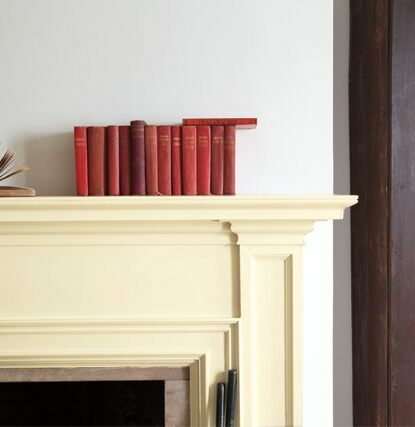 Here, the mantel has a yellow undertone, while the white wall next to it has a subtle, cool blue undertone. 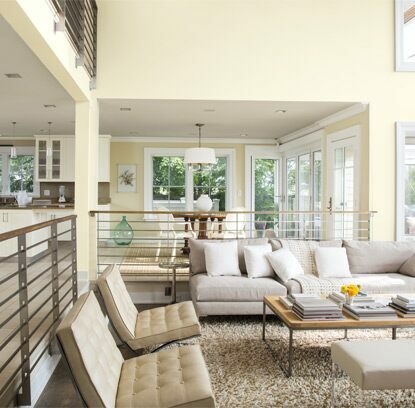 Design professionals share their must-have whites and off-whites. off-whites are so indispensable, they’re known by heart! Favorite whites mentioned in this video include Decorator’s White OC-149, Linen White OC-146, Atrium White OC-145, Cotton Balls OC-122, Steam AF-15 and more. When shopping for the right white, layer a range of white color chips from your local Benjamin Moore store on top of one another. Observe the difference between brightness levels and undertones. Take this idea one step further by layering your white choices on top of chips that reflect the actual colors in your room to see which white is most complementary. Sheens are always a fun way to differentiate paint colors. White paint with a matte finish is not only more forgiving of imperfect walls, it creates the perfect backdrop for rich surfaces like marble countertops; it’s no surprise that white kitchen cabinets are a perennial favorite. Use a high gloss sheen to turn up the drama and highlight architectural details. Or meet somewhere in the middle with an eggshell sheen that offers a soft hint of gloss and easy-to-clean practicality. White anchors bright, deep and saturated color schemes. 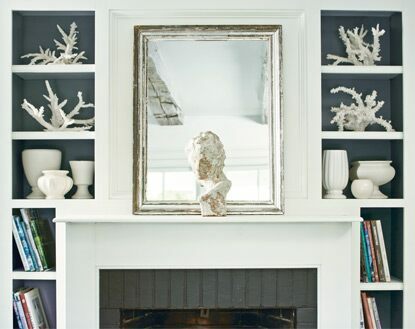 Here, white frames a deep charcoal gray, highlighting home accessories and creating striking contrast. 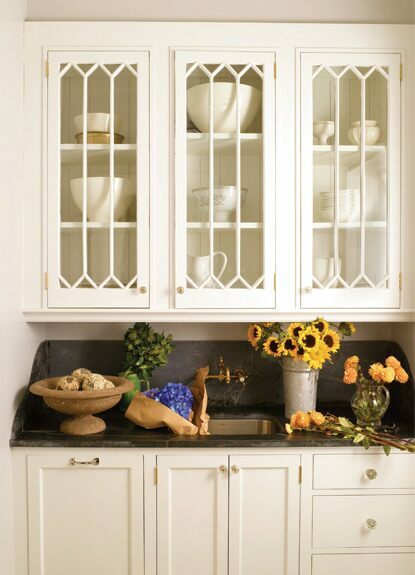 Layering a range of white and off-white paint colors is one way to create a richly elegant look. Texture—think throws, pillows and window treatments—are especially important in an all-white room. 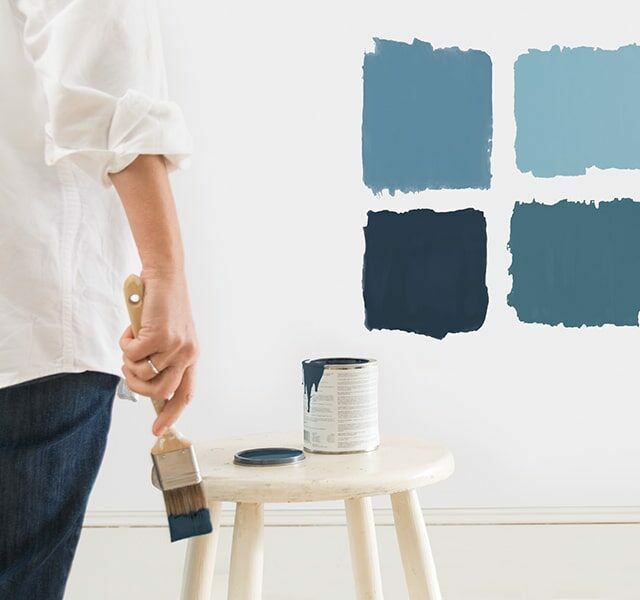 Color flow—the colors that connect one room to the next throughout your home–is made easier with white hallways, trim and doors. Just make sure the white you choose works with colors used throughout different rooms: remember that red and yellows harmonize with warmer whites, while greens, grays and blues synch with cooler white paint colors. A classic exterior shade, white is a homeowner favorite for all types of homes, from traditional to modern. White homes pop from surrounding landscapes. Exterior white paint also creates a blank canvas for complementing brick, stone and slate. 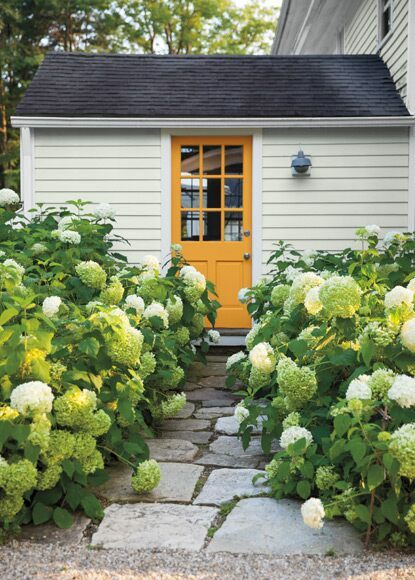 Adding a dose of contrasting color on an exterior door is a simple way to add a lively design edge to an all-white home. Aura Grand Entrance, specifically formulated for both exterior and interior doors and trim, makes it easy. 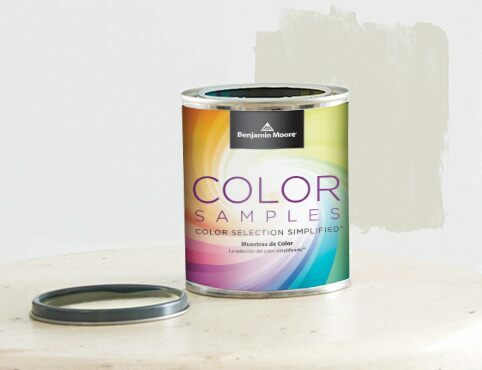 "Don’t get overwhelmed: Work with a local Benjamin Moore paint color expert—and sample choices for peace of mind." The appearance of wall colors tends to shift throughout the day. 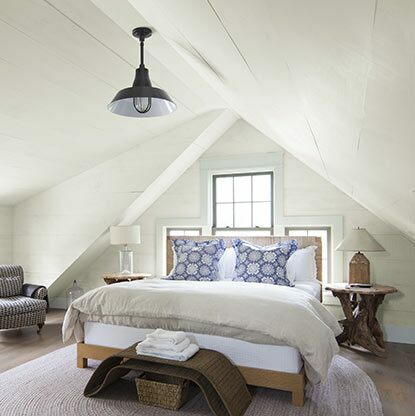 White paint colors are especially prone to taking on different tonalities from morning to evening, under both natural and artificial lighting conditions. Purchase a sample of the whites you like and test each one before you buy.